Circuit breaker (CB) has been around for almost as long as industrial electrical power usage. They react automatically to fluctuations in electrical current, and trip to protect a circuit from damage from overloading or short circuiting. Modern SF6 type circuit breakers use compressed gas to interrupt current flow and are common in electrical power substations. Current interruption in a high-voltage circuit-breaker is obtained by separating two contacts in a medium, such as sulfur hexafluoride (SF6), having excellent dielectric and arc-quenching properties. After contact separation, current is carried through an arc and is interrupted when this arc is cooled by a gas blast of sufficient intensity. Ø No leakage, operator and environment friendly design. 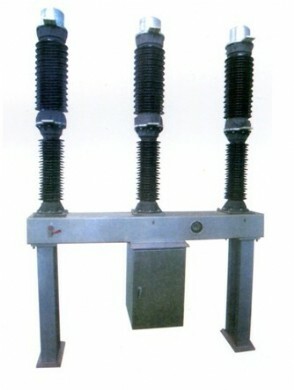 Application: It is suitable for control and protection of electrical power system, and can also be used as interconnected circuit breaker.